Liverpool look set to face stiff competition if reports of their interest in Riyad Mahrez prove to be accurate. The Leicester City star emerged as a potential Philippe Coutinho replacement shortly after the Brazilian sealed his £142million move to Barcelona. Whilst numerous outlets insisted contact had been made over a deal for the Algerian, arguably more reliable sources dismissed all discussion of a Liverpool pursuit. 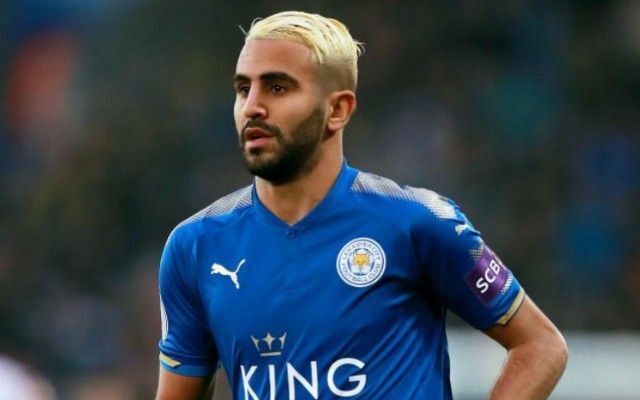 The Reds are in talks with Leicester regarding a move for Mahrez, who would actually prefer a move to Arsenal, according to the Daily Express. Liverpool fans have good reason to be suspicious over Mahrez speculation, with Monaco’s Thomas Lemar the clear first-choice attacking target. The club were also quick to respond to rumours by contacting Leicester directly to deny their intentions to sign the 26-year-old. A move for the 2015/2016 Premier League winner would certainly be logical, however, when it comes to filling the Coutinho-shaped void with a playmaker boasting the vision and directness designed to thrive in Jurgen Klopp’s counterattacking setup. Arsenal could prove to be natural frontrunners, though, as they prepare to move forward without the likes of Alexis Sanchez and Mesut Ozil. Meanwhile, Liverpool are negotiating with RB Leipzig over deal to bring Naby Keita to Anfield this January rather than having to wait until his scheduled summer introduction. With Klopp free to spend the money generated by Coutinho’s sale, Mahrez and Lemar won’t be the only names linked with a switch to Merseyside this month.